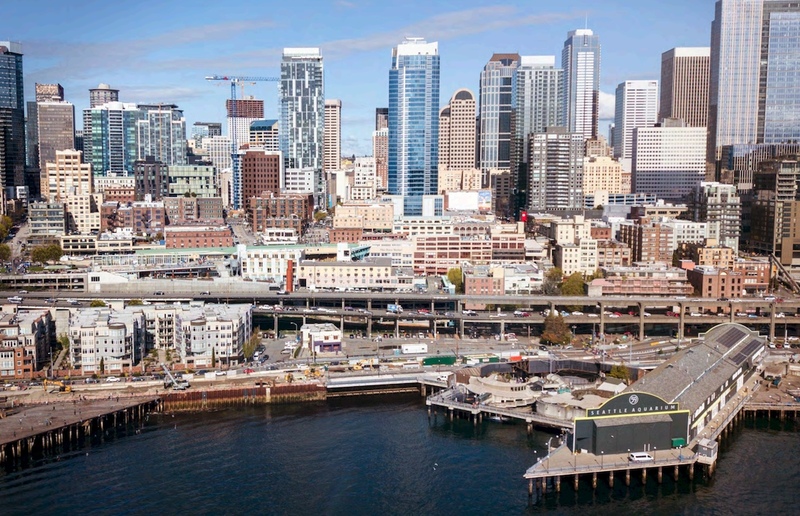 Change is in the air with the urban fabric of Seattle, as State Route 99 running through its city centre — better known as the Alaskan Way Viaduct — will be permanently closed starting this Friday, January 11. 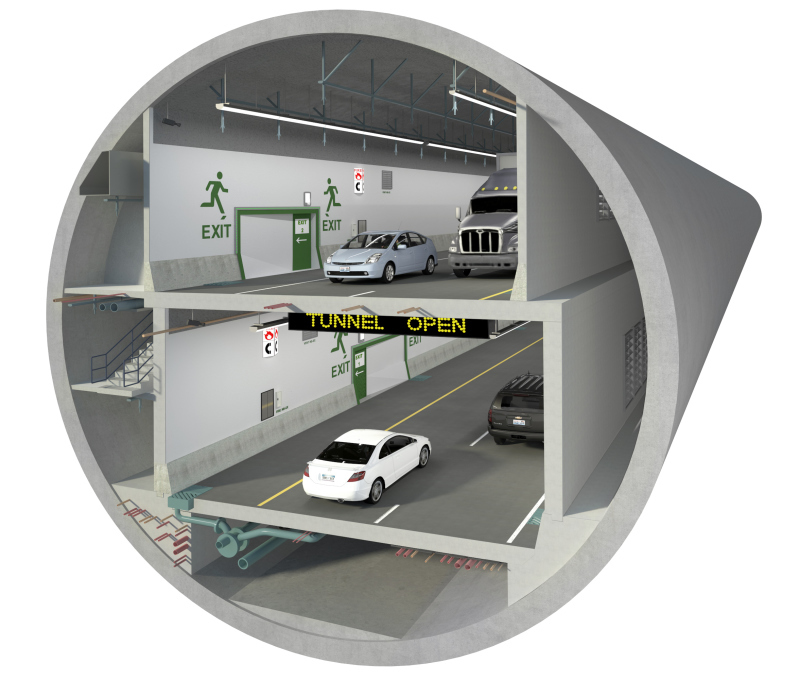 The closure of the waterfront highway route through downtown Seattle is expected to last for about three weeks to allow construction crews to realign the highway with the new USD$3.3-billion, 3.2-km-long, four-lane underground tunnel. The years-long project, now reaching the light at the end of the tunnel, has been an unprecedented feat of engineering for Washington State. Old road connections will be detached, and new connections to the new underground road network will be established. In some cases, completed sections of ramps that were buried over the last few years have even been unearthed over the first week this year. The new tunnel will open once it is fully connected to the highway route at both of its ends. Traffic disruptions could last for up to six weeks, when other ramp closures are accounted for. 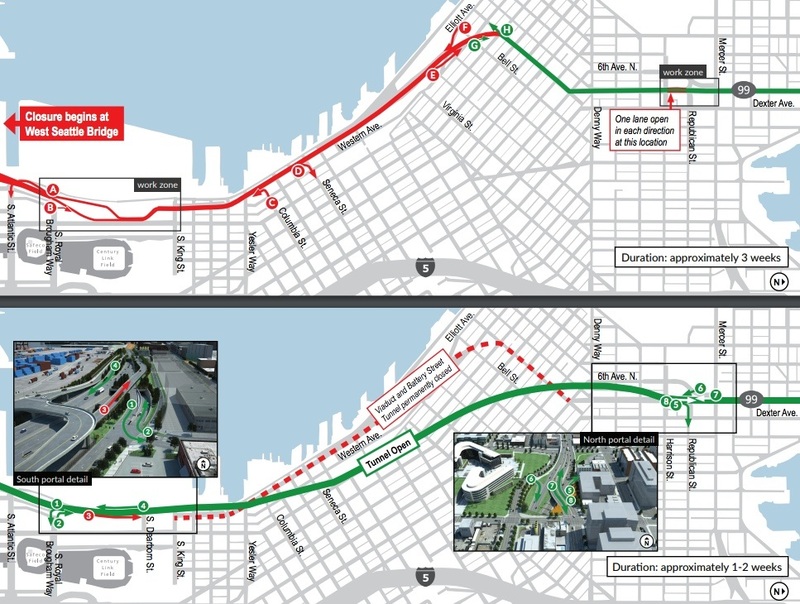 During this final construction period, the 90,000 vehicles per day that normally use the viaduct will need to find another way to get to – or through – downtown Seattle. Traffic is expected to spill over into local streets in and around the city centre area. The final lap of disruptions ahead of the new road system’s full opening has been billed by the state government as the longest major highway closure in Puget Sound history. The tunnel was originally scheduled for an opening in late-2015. This was delayed due to a two-year delay on completing tunnel boring work, which was completed in April 2017. 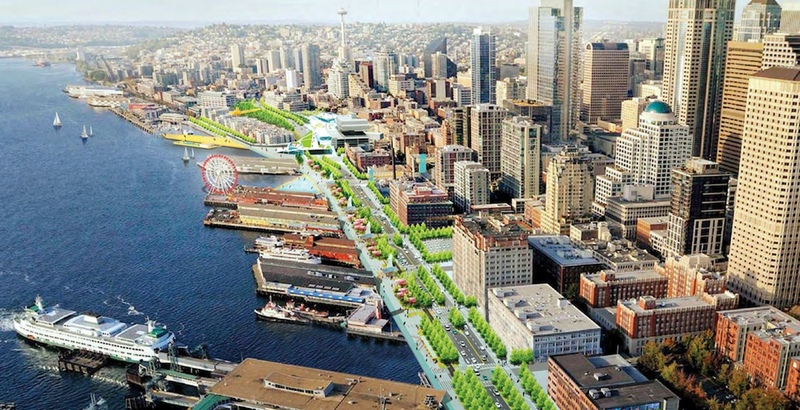 Following the demolition of the viaducts, the City of Seattle is expected to commence major work on a USD$700 million renewal project of its downtown waterfront, which will include a new eight-lane surface roadway and extensive public spaces that connect the city centre with the water. Planning on the demolition and replacement of the 1950s-built viaduct began after the magnitude 6.8 earthquake that struck near Seattle in 2001. The viaduct was damaged by the earthquake, and emergency repairs were made. According to the state government, if the 2001 earthquake had lasted several seconds longer, the viaduct could have experienced a structural failure and collapse.